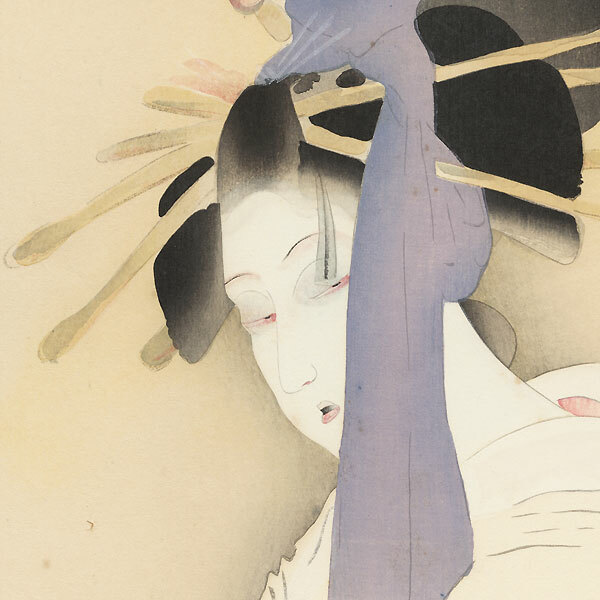 The Heroine Yugiri, 1923 - Fantastic image of the ghostly Yugiri from the play "Yugiri Awa no Naruto." 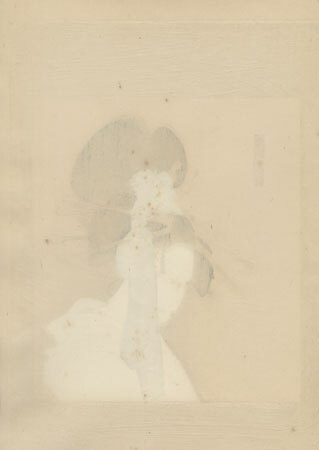 The beautiful young courtesan has returned as a spirit to haunt those responsible for her death. 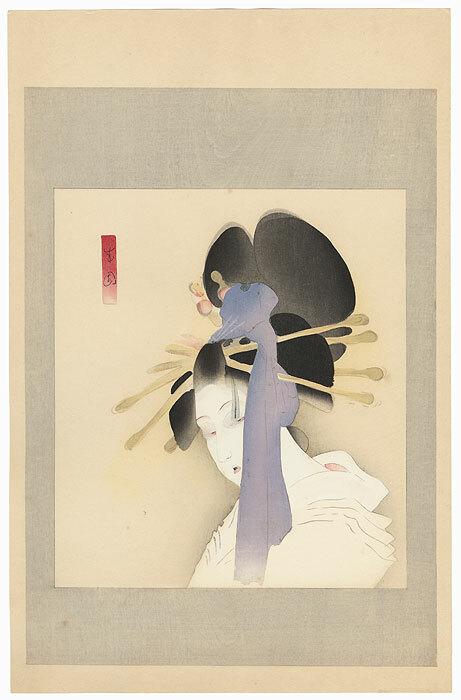 Her hair is piled high in an elegant style with many hairpins, tied with a lavender sash that trails alongside her face. She peers sideways over her shoulder, looking suspiciously out of the corners of her eyes, her mouth slightly open. Beautifully drawn with soft, watercolor-like tones and fine bokashi shading. A terrific, eerie and expressive portrait from this series. Condition - This print with excellent color and detail. Slight toning, a few spots. Please see photos for details. Good overall.